I'm losing count of the number of times I have read The Bookshop by Penelope Fitzgerald, but I had read it again prior to my recent trip to London and the wander around Hampstead with Justine Picardie which included paying homage at Penelope Fitzgerald's grave, and I've just read it yet again because I didn't write my thoughts down at the time, and each time it's as if I read a new book. a file for snippets and articles, and building up a set of hardback first editions. Several of those signed in Penelope Fitzgerald's very distinctive handwriting, which is the highest accolade that can be bestowed in the dovegreyreader pantheon of greats when there are also eye-wateringly steep gas bills to be paid. 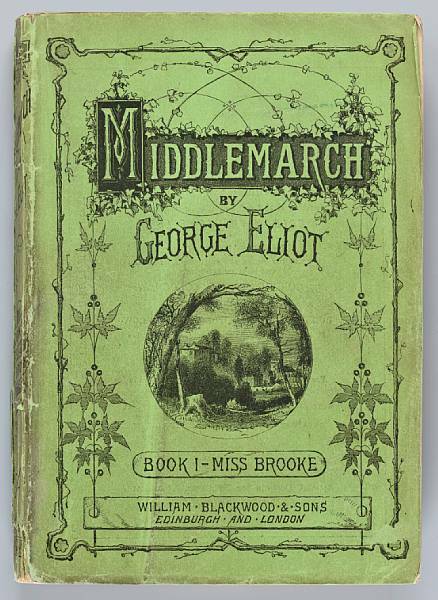 Self-effacing and modest Florence Green, acutely aware of her own failings, decides against all the odds to open a bookshop in the East Anglian market town of Hardborough. No push over and doggedly determined when she needs to be, Florence also knows when it is time to retire gracefully, eventually defeated by the community but never cowed by it. That's the plot in a tiny netsuke, (can you tell I'm reading The Hare With Amber Eyes and learning to pronounce it as netskeh) a plot I know so well, but if you've read it you'll know that much more happens than this and I am always amazed at how successive readings can also be completely different readings of the same book. Previously unnoticed nuances emerge, perhaps subtle and gentle (and to me Penelope Fitzgerald is always both of those) developments of character or plot that I may not have appreciated before. This time I was marvelling at the trickle of characters whose presence is firmly established by page twenty one as the world surrounding Florence Green is effortlessly populated. It's seems to have been the week of the child on here and I've really enjoyed reflecting and writing about a child's point of view in recent reading, so in keeping with that the character who I indentified with most on this reading was by chance a ten and a half year old girl. Christine arrives brimming with that confidence that only ten and a half year olds can have as she offers her services to Florence in the shop, coming to work for her after school each day. I wonder if you can remember being ten and a half? Please forgive the self-indulgence because funnily enough I can, and with crystal clarity after Penelope Fitzgerald had described it so succinctly, and I would have given away my roller skates to work in a bookshop. It's that year when you are top dog at primary school but about to embark on the great leveller that is secondary school and have to start working your way up all over again. I might have been the fastest runner in the school but I was about to become the slowest, I might have been one of the best readers and spellers coming top in everything, but I was about to be suitably cut down to size, and apart from the occasional fluke I'm not sure I ever came top or excelled in much again except for one season as hockey captain and holding the school record for running 150 yards for about a week. Apart from the fact I had sensibly ditched the alice band, something very subtle seems to have altered, about my face, my eyes and my smile. It's always hard to see it in yourself but the closer I looked the more I could sense the older me, more cautious, more reserved, perhaps more guarded and nothing like as confident as I was when sporting that orange jumper my mum had made me. I'm definitely back down in the pecking order again. Penelope Fitzgerald does fictional children so well. You only have to read her collected letters to sense how close and involved she was in the lives of her own children and grandchildren and Christine is a perfect example of all that observational skill used to good effect yet with much economy of detail. I browse Penelope Fitzgerald's letters almost constantly to discover her thoughts about everything, it's all in there not least her thoughts about her own books, and of The Bookshop she cites Balzac as the 'presiding genius of this little book'. I'm thinking back to my reading of Balzac's Eugenie Grandet, simple characters and plot yet complex and dynamic for all that simplicity, and dare I say how much better Penelope Fitzgerald is at those gaps and silences than the rather garrulous Monsieur Balzac. The letters display the customary modesty that I associate with Penelope Fitzgerald, humble to the point of feeling unworthy of the attention but always with a wonderfully droll edge to the humour. I'm now very wary of setting myself New Year reading challenges which have faded and dwindled by the last week of January, but I can see no harm in promising myself a timely re-read of all Penelope Fitzgerald's novels through this coming year, because having re-read The Bookshop I think new and unknown delights wait me, but hopefully no more embarrassing pictures.